A slowing global economy threatens to undermine fuel consumption, while US shale drillers are pushing American output to break record after record. 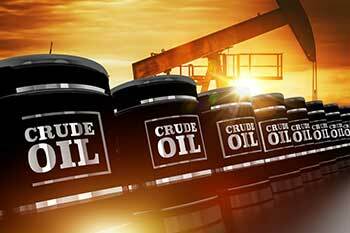 Brent crude futures traded near $63 a barrel in London on Tuesday. OPEC reduced its estimate for the amount of crude the world needs it to pump this year as US production continues to thrive and the demand outlook falters. The Organization of Petroleum Exporting Countries (OPEC), which produces about 40% of the world’s oil, already curbed output by the most in two years last month as it launched a new round of cuts to prevent a glut. With less crude needed from the cartel than previously thought, Saudi Arabia is already going deeper than its pledged reduction. Yet oil prices remain about 28% below the four-year peak reached in October. A slowing global economy threatens to undermine fuel consumption, while US shale drillers are pushing American output to break record after record. Brent crude futures traded near $63 a barrel in London on Tuesday. The 24-nation coalition known as OPEC+, composed of the group’s members as well as former rivals like Russia, has agreed to constrain output until the end of June, bringing their supply restraint into a third year. While the initiative has lifted the oil industry out of the worst downturn in a generation, there are signs it’s counter-productive for the group, stimulating rival supply and helping US crude output surpass that of Saudi Arabia and Russia. OPEC’s Vienna-based research department reduced its estimates for the average amount of crude the world requires from the group this year by 240,000 barrels a day to 30.59mn. Forecasts for non-OPEC supply were lifted by an improved outlook for the Gulf of Mexico, while projections for global demand were lowered as a result of weakness in Europe and the Americas. To try and keep markets in equilibrium, the organization made a strong start to its latest round of supply cutbacks. Output from its 14 members plunged by 797,000 barrels a day in January, with almost all countries reducing supplies, according to the report. Saudi Arabia curbed production by 350,000 barrels a day to 10.2mn last month, the report showed, below the 10.3mn output target agreed in the OPEC+ deal. Energy Minister Khalid Al-Falih told the Financial Times in an interview that output would fall even further to 9.8mn barrels a day in March. The group’s deliberate reductions were amplified by unplanned losses in the three members exempt from the accord: Iran, Libya and Venezuela. Nonetheless, at 30.8mn barrels a day, the organization will need to trim output by a further 200,000 to be in line with demand for the year as a whole, the report indicated.